Wouldn’t it be a huge relief knowing that your car is in its top form – no costly repairs nor high safety risks ahead? We all know how frustrating it can be when a car starts making grinding or squeaking sounds. Is it a transmission problem or maybe worn out brakes or perhaps the car is having clutch problems? Whichever it is, any car problem is pretty much a very annoying matter for almost all drivers, regardless of their driving experience or knowledge of cars. And regardless of how good you maintain your car, there are still chances that something will go wrong at some point. No wonder why. In the past decade or so, cars have changed – it seems as if we are more and more dependent on electronics, numerous safety and comfort features, which is why the majority of the car repair jobs are now very complex. But it is precisely this dependence on innovative dashboards, high-power engines and latest safety technologies that navigate most people’s choice of a car model and make. And the same puts a lot of pressure on renowned car manufacturers to bring forth the most reliable models with eye-catching designs. This is probably mostly true for the acclaimed Japanese car manufacturer, Mazda Motor Corporation, known for eminent and blood-tingling sporty performance. For more than 75 years, Mazda has been combining outstanding performance, incredible efficiency, sophistication and sleek design in all its models. Nevertheless, certain Mazda models are repaired prone which is why regular Mazda car service is necessary to ensure good engine performance and increased reliability. If you are a proud owner of the Mazda Tribute, then you’re might have had transmission problems with your car. 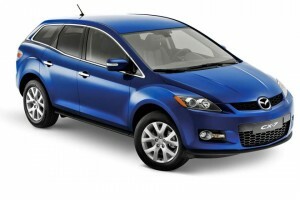 The same is true for the 1998 Mazda 626, the 2012 Mazda 3 and the 2008 Mazda Tribute model. The transmission, also known as gearbox, is probably one of the most complex systems in your Mazda which allows power from the engine to be sent to the drive shaft. Due to the heat and friction produced during this process, the transmission can be prone to many issues. The most common one for Mazda models is pump and shifting problems. Transmission problems on your Mazda should not be ignored. Otherwise, the problem may become so severe that the only possible solution may be a complete rebuilding of the transmission box. To avoid major repairs such as this one, bring your Mazda for complete Mazda service and prolong the life of your car. Another common problem with few manual transmission Mazda models, including the 2010 Mazda 3, is the clutch. The clutch is similar to a brake pad and it transfers the power between the engine and transmission which goes to the wheels. That is why it is of utmost importance to sanitize any clutch problem promptly. In addition to this issue, many Mazda owners have complained about various brake problems. Broken caliper, worn out brake pads and other various brake problems are mostly identified with the 2002 Mazda Protégé, the 2008 Mazda CX-7, the 2010 Mazda Tribute and 2009 Mazda 3 model. Brakes, being the vital part of the car’s safety system, need to be well maintained. Even though latest advances in the automotive technology contribute greatly to reducing the risk of injury in a collision, impaired brakes ultimately make your vehicle a hazard to you, your passengers and everyone else on the road. Also, the possibility of a serious injury or even fatality increases highly. Therefore, follow your Mazda owner’s manual, conduct regular check-ups and on time Mazda car service to ensure impeccable performance and reduce your car service costs. If you’ve been experiencing any of the above common Mazda problems or any other issues with your Mazda and are looking for a reliable yet affordable automotive workshop in Melbourne, then you’ve found the right place. You can trust the Automotive Experts with all your automotive needs. Apart from years of car repair experience and skilled and professional car service technicians, we use the latest equipment and will provide you with comprehensive analysis and outstanding service in three locations in Melbourne, Brunswick, Knoxfield & Hallam. It is our job to ensure a proper Mazda car service and maintenance so you don’t have to. After all, our expertise is why our customers keep coming back. Visit one of our three locations and join the Automotive Experts happy customers’ community.